Clif, the company that makes the eponymous power bar, makes Builders Bars. They are basically chocolate-coated biscuit bars that contain 20g of protein for building muscle and aiding recovery after exercise. There is even a picture of a ripped climber on the packaging to give you an idea of what to aim for (I’m still trying). Builders Bars are available in the UK in three flavours – chocolate peanut butter, chocolate and chocolate mint. At least, that is what the flavours are called. 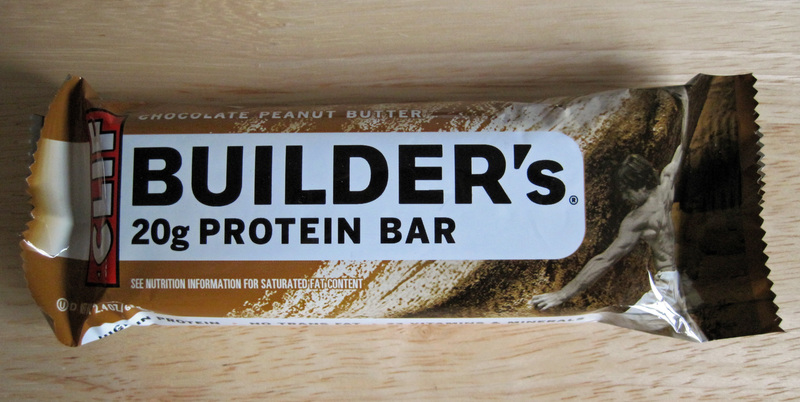 Builders Bars don’t exactly taste like these things, but they are not far off. While not gourmet eating, they are very edible and you don’t have a sense you are eating something produced in a lab. In fact, the list of ingredients is topped by natural things such as soya and ends with a host of vitamins. These ingredients also mean that Builders Bars are suitable for vegetarians and vegans. I started eating Builders Bars as a way to help me build muscle. This is not to say I use them to train – I don’t really train in any particularly structured way. I just do things to keep fit and try to do them on a regular basis. A friend who is a personal trainer suggested taking more protein after exercise and I found Builders Bars an effective way of doing that. They are particularly good after exercise in the mountains when they are much more convenient than trying to make up a protein shake and are light enough to justify carry them on the mountain. It’s at these times that I have really appreciated Builders Bars. A few minutes after eating one, I start to feel better. They helped me get through a particularly long, Monroe bagging walk in the Scottish Highlands a couple of Easters ago. It’s hard not to sound like an advert when talking about them, but I’m enthusiastic for a reason.